The application matches user's preferences, interests and hobbies; analyses users' traits - that they stream rock music, attend bokwa classes, make dinner reservations at steakhouses, buy tickets to soccer and much more. Then it scans a matrix of hundreds of activities to find matches, filtering a recommendation perfectly aligned with their interests in real time. So, rather than seeing a random advertisement that tries to appeal to everyone, the users get custom recommendations just for them with perks designed just for them. The geo-targeting filter ensures the recommendations shown were within driving distance of the user's home. 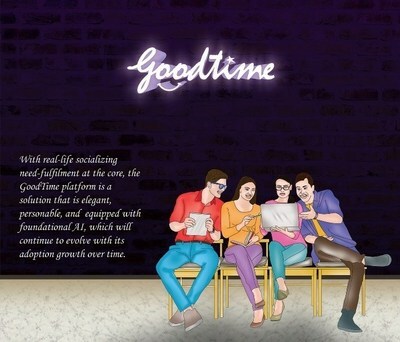 Viewers could then explore the recommendations on each activity on GoodTime website. So, they could plan their real get-togethers and share it with others.